Implementing knowledge management or knowledge-sharing projects in an organization require significant organizational prerequisites. Lacking proper infrastructures and prerequisite, not only make the knowledge management process unprofitable, but might incur harmful effects as well. To decrease such risks, it is proposed to introduce the readiness assessment, in order to gauge a company’s appetite for the work involved in implementing the knowledge management. 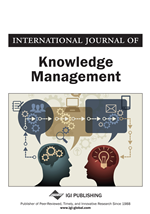 In this research, critical success factors have been extracted from literature reviews and surveyed through a questionnaire, distributed among 130 knowledge management experts. Then, to validate the measurement of the multi-item constructs, exploratory factor analysis (EFA) was used. Identifying effective variables and their grouping onto related factors, the second questionnaire was employed for readiness assessment of an IT firm working in Iran and its results were presented with Radar diagrams. Finally, promoting propositions were provided based on the firm’s current state.